26 - 15'400 - 10 - 14.8 - 9. I love starting the articles with facts and figures. And I would like so much that such numbers were my Lotto winning combination but, unfortunately, it doesn't. These numbers demonstrate something all of us should start seriously taking into account: 1 kg beef contains around 26 grams protein, it takes 15'400 water liters and 10 kgs feedstuff to be produced, with an environmental impact of 9 kgs organic waste and 14,8 kgs CO2 issued. To help sell the fact, it may be interesting to compare them with other great numbers such as 223'022'800'000 and 446'045'600'000: the meat quantity, in kilograms, consumed in 2000 will be consumed in 2050, as per FAO projections. A distinctive feature of the numbers is that they can be such callous, so comprehensive and for sure you will agree on any further comments on figures mentioned above. The need to discover alternative protein sources was already discussed in one of my previous articles. So, to go on this topic, what should we eat in 2050 when world population will reach nearly 9.000.000.000 persons? What alternative food sources should we rely on? The solution may be something which sound cheer up our summer night, or it may generate in someone a kind sense of repulsion. They have been eating for millennials by South-American and Asian population so why don't we start relying on an alternative and sustainable protein source like insects? Just for comparison, one chilo edible insects (crickets) needs 0,1 liters of water and 1 kgs feedstuff, producing 1 kg organic waste, 1,5 kgs co2 and contains 0,65 kgs protein, undoubtedly a huge difference compared to beef, without forgetting they are also a considerable source of calcium, Omega fatty acid, Vitamin B12 and Iron, which definitively make insects truly a Superfood. Eating insects should not te be considered as strange or disgusting: all of us already consume food considered bizarre or revolting by others. British are horrified by Italian habit to consume horse meat, French are mocked all over the world for eating frogs and snails, Haggis is something uneatable out of Scotland and Icelanders are mad about Hakarl (Rotten Shark); while we condemn Japanese to eat whales (also for ethical reasons of course) they still can't understand how we can eat the rabbits, so? Entomophagy is not a matter of strong stomach but rather of an open mind. SO MUCH DONE, SO MUCH TO DO AND WHAT ABOUT THE 1ST JANUARY 2018? Since first FAO’s Workshop in 2008 “Forest Insects as Food: Humans Bite Back" (full pdf available here) we anyway moved up and, really slowly, it seems there is a still growing awareness about edible insects. 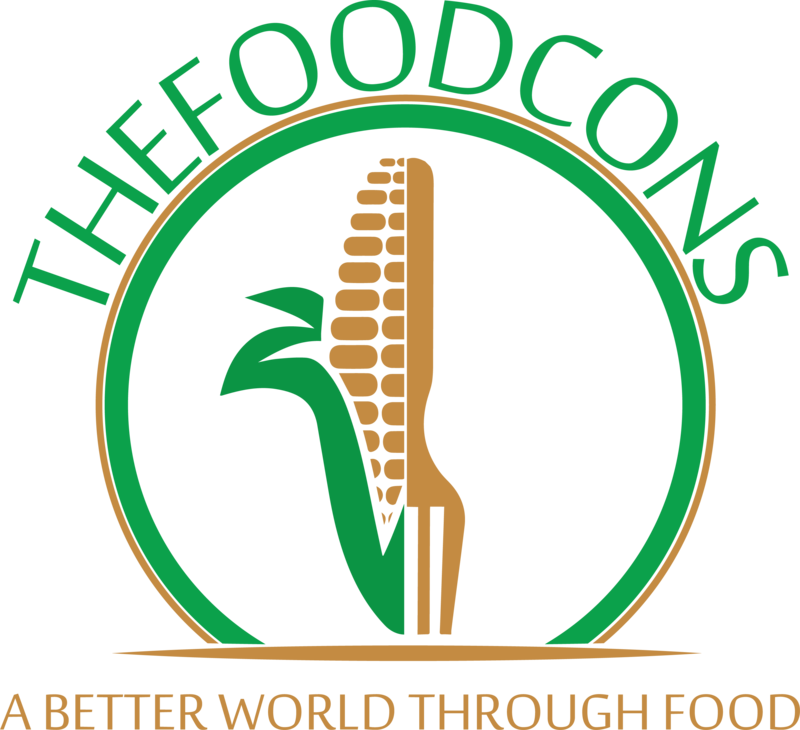 Actually, the net and the press are both full of stuff about it: while some article underlines the need to switch to different food sources, others describe the entomophagy simply as “the food trend of the moment” or “something you should try to be cool” and so on and so forth. Compare entomophagy to a food trend like it has been the Sushi or like the actual Ramen is something far from the truth; we are not talking about a trend but of a continuously evolving industry, carried out by willingness people who want to change the world and our eating habits. So, basically on 1st January 2018 for end consumers in Europe, it will change absolutely nothing. In countries such as UK, Holland, Belgium, Denmark, and France,... where edible insects have always been available, sold and consumed, that will remain, while the rest of Europe's counters and racks won't get magically full of crickets and worms, for still some time. Analyzing the extra EU regulations, for example, USA does not have yet a specific law regulating the farming, slaughtering and consumption of edible insects for which has to be applied to the current regulatory FDA's framework. In Switzerland since August 2017, three species of insects for food: crickets, migratory locusts, and mealworms are admitted for human consumption. Europe, America but also Africa and above all Asia are full of associations, startups and SME's promoting and producing edible insects; I had the chance to chat with some of their owner and CEO, and I could feel more than an innate and obvious passion for their work, even a strong determination in crafting a better world. The list of company and people involved in this business would be infinite, so it would be pretty impossible to list them all. In reading the article about the Novel Food Regulation, you got to first look at this groundbreaking platform: the first online international media for edible insects. The Italian entomophagy guru Dr. Lorenzo Pezzato, the founder, and director, with his personal journalistic style and a lot of professionality and availability, is reaching his goal: create a virtual meeting point for the institution, companies, and people involved, passionate or interested in this innovative environment. At the parallel project, he is also co-founder of www.21bites.com an E-commerce platform for sale of edible insects and derivatives, integrated with a blog on novel food; let’s bet it will become soon the Amazon of entomophagy? I would like taking the chance to thank Lorenzo for the precious information provided to me. “There’s no way to produce enough meat for 9 billion people”. This Bill Gates’ quote seems to have been the Marco Ceriani’s most inspirational source ; but while the Microsoft Tycoon chose to invest in Shmeat research ( see my article ) the visionary nutritionist, journalist and entrepreneur opted for edible Insects. His Startup Italbugs is focused on research and development of farming process for human use insects. A brand created by Italian chef Marco Parinello who took inspiration from Italian aperitivo and crafted the amazing and tasting Crickelle: crackers with 15% of cricket flours. Ideal for a quick snack, an alternative happy hour or even as starting point of bizarre recipes, exactly like those posted on the Instagram profile by the chef. The crickets are crunchy, but the Crickelle are much more. May an Iguana inspire a business? Yes it does. The Bozzaotra Bros, the Italians entomophagy pioneers, watching how many crickets their pet Pierino ate, realize how proficient could have been a business related to insects, so they started the farming and commerce of insects products. Furthermore, they enjoy a great visibility on Italian media, where they discuss and promote the use of insects as an alternative source of food. The Switzerland pioneer started the sale of mealworm based balls and hamburgers on last August in 5 Swiss Coop with a great success. I personally organized a kind of food tasting with some friends, preparing and serving the worm balls both in Italian and Criollo style with a pretty good feedback. After nearly 10 years in advocacy for edible insects and the recognition of the three species by Swiss food law, Mr. Jürgen Vogel chose to found Insecta to start his own insects' distribution in Switzerland. At the time of writing, he admitted to being really busy organizing the launch, which will take place by the end of November. GOOD LUCK! Essento has the Coop, but Micarna is the Migros. The Swiss retail giant's meat supplier quickly pointed towards the entomophagy potential, so it hired an insect product manager, Mr. Ralph Langholz to wide its products range with cricket flours. A first food tasting of so-called Pop-Bugs has already been placed pretty successfully on occasion of the last Anuga food fair in Germany. Its founder, Ana C. Day, define herself “Ambassador and an “all things insect-applied” dream keeper for a better world.” and, watching the success of her web-platform 4ENTO, she’s reaching her goals. The aim of this portal, plenty of data, references and social media, is to provide a 360° informations on insects and propose them as the first way to craft a better world. A brilliant story started out almost like a joke. The two founder’s idea to cook insects at home turned into a startup and then into a successful company with a wide European dimension, counting actually 11 working bees more than two likable founders Clément and Bastien. Whole insects in different flavors, insect bars, bugs cookies, salted butter (we are in France), pasta, and many others food products more than some cool gadgets, are all available on the E-Shop section of the website. Crickets flour bars available in bold and innovative combination with captivating packages, a full trophy case and a broad network of partnership and supporters are the recipe for success of this dynamic French company, already present in 3 continents. Doing things well, with care and nothing to hide are the three sound principles on which Micronutris is based, the first edible insect farm in France. Besides the sale of whole insects, chocolates, and cookies, they look after also an enjoyable recipes section with a lot of great and interesting ideas to cook and serve this novel food. Pick your favorite format: whole, flour or supplement, you have the embarrassment of riches by this ambitious central Europe Company, in transition to scale-up and willingness to become a leader and the reference point in edible insects business. Its founders, Bart and Stefaan have a clear mission: create and develop awareness of eating insects. They plan to accomplish this goal through a strong presence to social events for public food tasting with their products Burgondy and Wokkings and powerful partnerships with researcher, authorities, consultants and many others. The website is the best visiting card for that company which can be considered doubtless one of the European edible insects leader. Founded and managed by two visionary friends who since the beginning have been striving to change UK's minds about food, building awareness on entomophagy. To accomplish their mission, they can rely more than on a valuable range of products, also on a reliable network for event planning and a detailed blog, without forgetting the amazing recipes section on the website continuously updated with ideas provided by the users. Appreciable products range for this young German Startup: besides the insect bars manufactured by EatGrub also snappy chocolate pralines made by pastry chef, crickets’ flour to craft alternative recipes (the website has a dedicated section) and the cricket snacks available next year, all manufactured and commercialized under Imago trademark. Insects for food and also for feed. The aim of this young Italian startup is challenging; use insects as an alternative protein source for animal feed, as a transformer of food waste in organic fertilizer for farming, for the dietary supplement, like biodiesel, in pharmacy and much more. A great project for a better world: process fly larvae, high in proteins and amino acids and obtained by organic waste, into feed for animal or soil enrichers. We may kill two birds with one stone: stopping deforestation for soy plantations, used for animal feed and meanwhile reducing the organic waste. A former FAO operator and a Grammy-nominated chemical engineer, a rendezvous in Madagascar that changed their lives, a startup born a garage back in 2014 and evolved so quickly to rely actually on with 15 top-skilled employees. This could sound like a novel, but it’s Next Protein: a company dedicated to processing fly larvae from biowaste to obtain animal feed and soil fertilizer. “Change animal feeds with insects" a catchy motto enclosing this young company’s essence, the number 1 insect meal producer in France. Specialized in agro-tech proteins derived from insects, fully sustainable and traceable, this young company has a recent story but already full of success. With the second fundraising campaign just launched, Gregory Louis, CEO, and founder, and engineer Clément Soulier plan to open the largest French insect farming facility. The founder, Mr. Stephane Benmebarek is a guy in constant motion. After carrying out a pilot project at the beginning of next year, he will move to Ivory Coast to start a new one. The scope of the project is breeding both black soldiers fly and mealworms to be sold as a protein supplement for human and animal nutrition. What may you expect from an Italian who moved to Thailand? Obvious...cricket pasta! This guy is Massimo Reverberi who, after a career spent in marketing and communications, left Italy in 2012 to explore business opportunities in South East Asia. 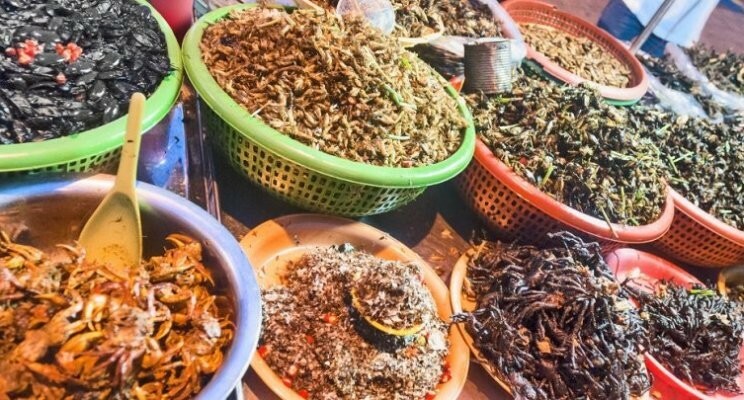 Watching the Thai eating habits he pointed toward the edible insects potential, founding in 2015 Bugsolutely and driven to be one of the most known and awarded companies of this sector in Asia, with a strong export orientation. “Our Vision is to leave a sustainable world for the future generations” A company with such sense of WHY is undoubtedly designed to success. Besides that Global Bugs can rely on a cutting-edge technology and Entopark: a ground-breaking farm, the largest in Thailand, to breed crickets and black soldier flies and process them as a whole flour or snacks. Last but not least, they have been recently awarded the Seal of Excellence by EU commission: it states that Global Bugs project respects the strict standard required by Institution Managing Horizon 2020 on excellent science, industrial leadership and tackling societal challenges. "Insect on Mars." It may sound like a science fiction movie, but it’s Ceo Ken Chong’s goal: bring edible insects in the space to feed astronauts and other planets, habitants. In the meantime, YCERA strives to deliver insects to poor family farmers for a dual use: provide a sustainable protein source to them and organic fertilizer, in the form of worm cast, for their land. Since childhood, the 3 Goldin Bros have always lived in harmony with nature. Combining this respect for the earth with a powerful business acumen they founded Entomo Farms, recognized as one world leader, not only in producing and marketing insect derived protein and products, but also in building awareness at the global level on needs to switch to more sustainable food sources and in promoting entomophagy. Recently founded, Bugs Inc operates as a platform connecting insects farmers with buyers, providing a "Seal of approval," certifying the goods is conforms to a list of strict quality requirements. An ideal meeting point for farmers looking to expand their business and buyers seeking high-quality products. The name already explains everything. With a brand new manufacturing site, this company breed mealworms (Tenebrio Molitor) to be processed and used in animal feeding. The next goal is to get the authorization to process them also for human consumption. A total commitment to developing entomophagy in North-America, an e-commerce website with products by manufacturers from all over the world, an own product range, a continuous presence on mass media, a TV-Show with the renomated chef, an education program, and many other features make Entonsense the American touchstone for edible insects. If you like this article and agree on the fact that for a better future it is necessary to develop alternative food sources like entomophagy, feel free to share it with your network.